While the LG G7 ThinQ doesn’t look remarkably special, it does have some great options and features. Smartphones are getting a lot of mixed reviews these days with regards to design and, more specifically, the notch. 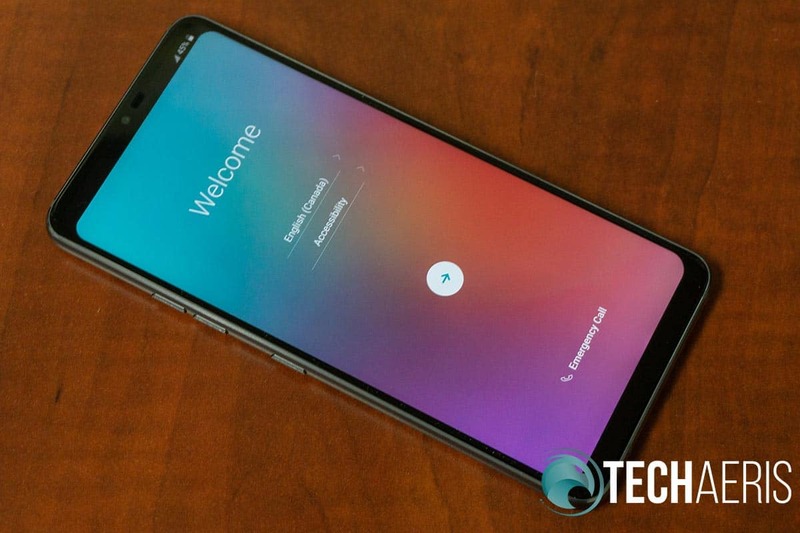 Our LG G7 ThinQ review takes a look at one of the latest LG devices which features a narrower design and lets users toggle between the notch and notchless life! The LG G7 ThinQ has the more classic design with rounded corners, edges, and a flat back. Housed in an aluminum frame, the SIM card/microSD card slot is located on the top with the power button located on the right side of the device. Top edge of the LG G7 ThinQ. The left side is where you’ll found your volume up and volume down buttons as well as a dedicated Google Assistant button (which is a nice addition). A single press launches Google Assistant, a double press for Google Lens, and pressing and holding will enable the Google Assistant Walkie Talkie mode. The bottom of the smartphone houses the pretty much now-standard USB-C charging/connection port as well as a 3.5mm headphone audio jack towards the left side. Volume buttons and a dedicated Google Assistant button are located on the left edge. Flipping the phone over, the Corning Gorilla Glass covered back is rounded at the edges but otherwise flat. The dual rear cameras are center stacked near the top of the device with the LED flash off to the left. Just below this is the round fingerprint scanner. 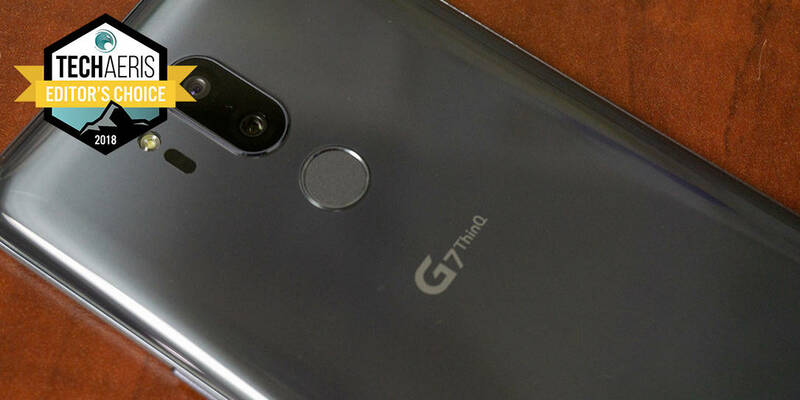 Just above the middle of the phone is the G7 ThinQ wordmark in silver. 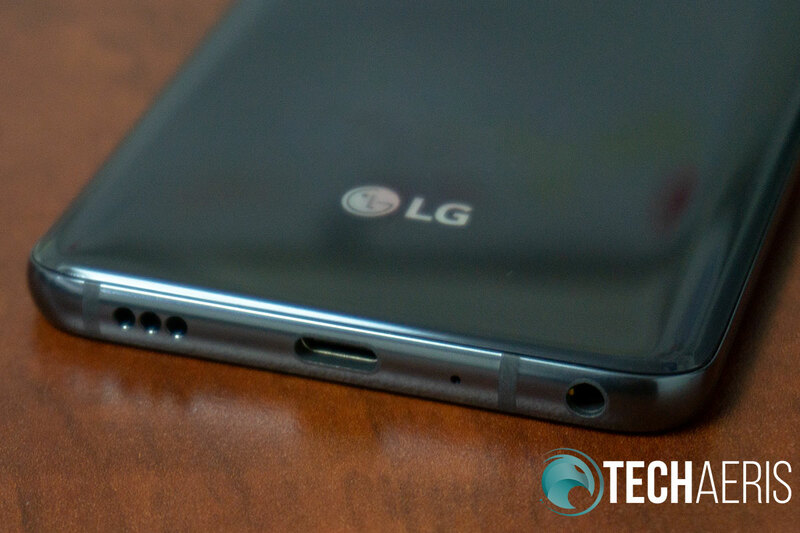 The LG icon and logo are located near the bottom of the device, also in silver. Right edge and back view of the LG G7 ThinQ. Our review unit came in the Platinum Grey colour variation, and it looks quite nice. You can also get a black version if that suits your tastes better. Overall, the LG G7 ThinQ has a classic, comfortable design with nicely placed buttons and fingerprint scanner. The LG G7 ThinQ boasts a 3120×1440 QHD+ with a Super Bright 1,000 nit display. 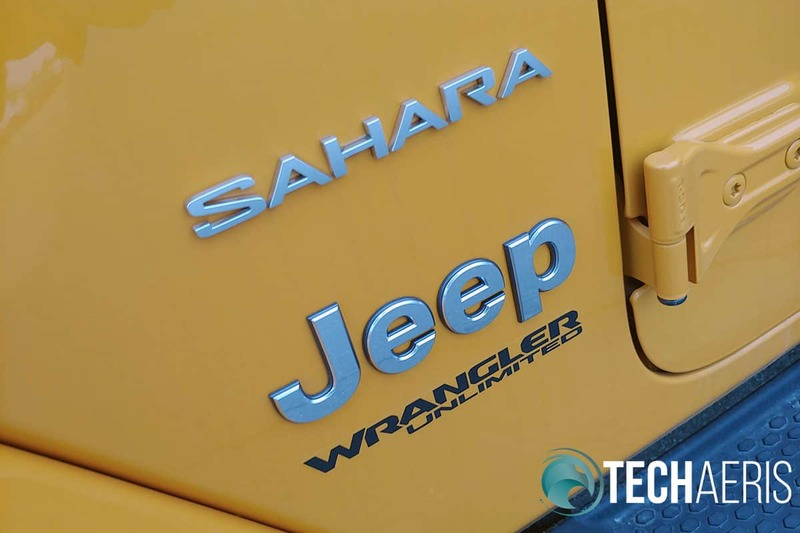 As a result, not only are text and images crisp and clear, the display can easily be seen in just about any lighting condition. The phone has thin bezels on the sides, with a shallow one on the bottom, and a slightly thicker one on the top — more on that in a moment. The screen is nice and bright, crisp, and has minimal bezels. 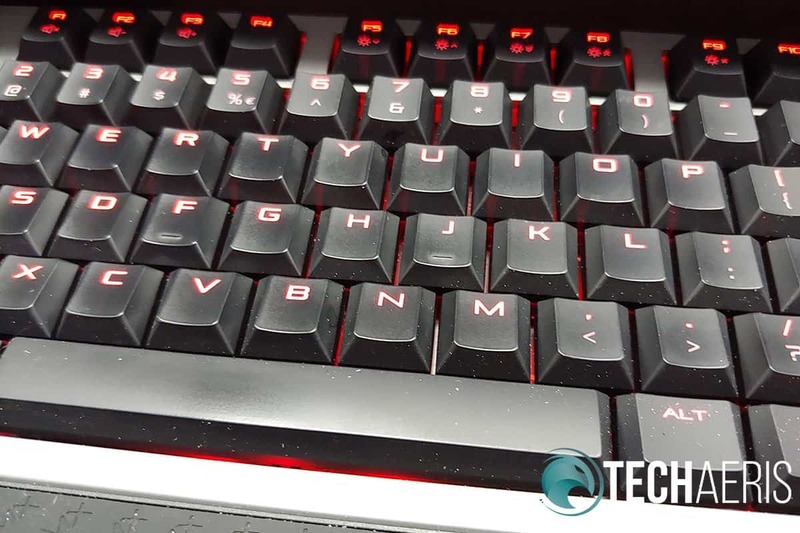 The display options allow you to adjust the screen color between Auto, Eco, Cinema, Sports, Game, and Expert. Users can also adjust the resolution from between 3120×1440, 2340×1080, or 1560×720 which makes this device suitable for just about anyone. In addition, the display size can be adjusted to make icons larger or smaller on the screen. The notch. Some love it while others despise it. In the case of the LG G7 ThinQ, the notch is technically always there but LG has added a setting to show or “hide” it. 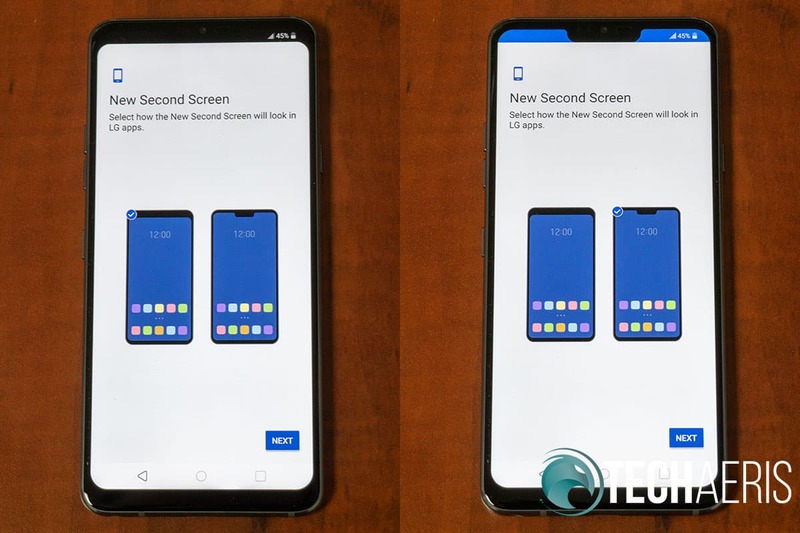 By choosing custom screen options, users can apply black, grey, or other colours to the notification bar regions on either side of the notch to customize it. If you choose black, it effectively displays the notification bar without the notch. Love or hate the notch, the LG G7 ThinQ lets you choose to show or hide it in the display settings. The LG G7 ThinQ ships with Android 8.0.0 Oreo. At the time of this review, the latest update for the device includes the May 2018 security update on 8.0.0. With Android 9.0 Pie now out, and with 8.1 out for a while now, it’s a shame that the device hasn’t been updated to a newer version of Android yet. However, the device is expected to get Android Pie at some point. Hopefully, users won’t have to wait too long. 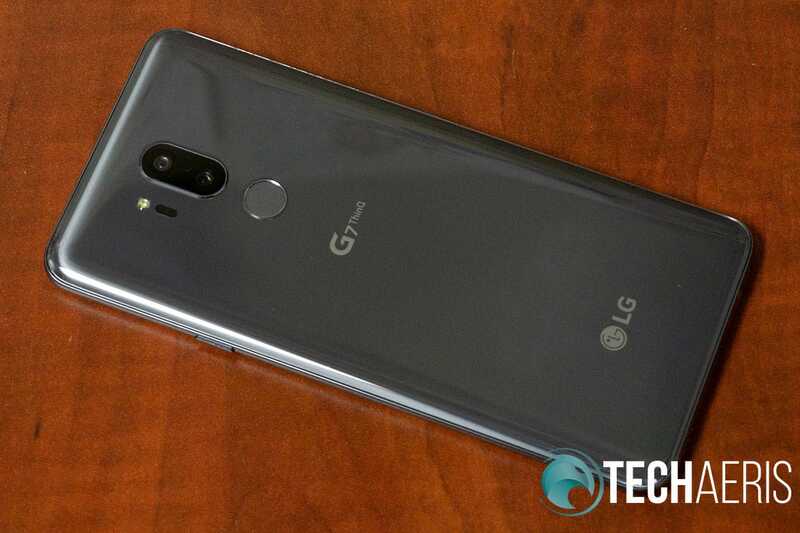 Of course, the G7 ThinQ runs on the LG UX launcher by default. 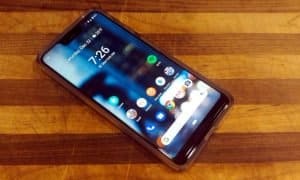 While there are obvious differences from stock Android, it’s not too difficult to navigate and find what you need whether it be apps, games, or specific settings. That being said, Android Oreo runs just fine on the LG G7 ThinQ with no issues. While it’s a small thing, the dedicated Google Assistant button is a nice touch as well, allowing you quick and easy access to your digital assistant. 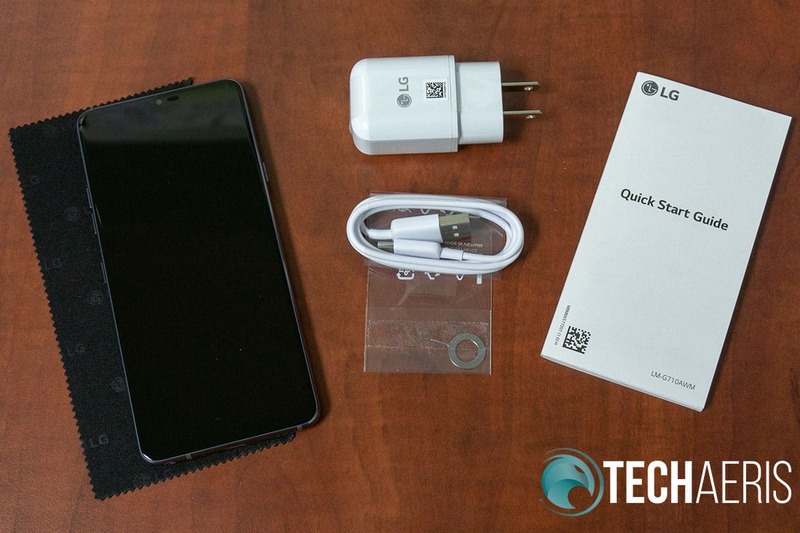 As expected, with its Qualcomm Snapdragon 845 Processor 2.8GHz Octa-Core processor and 4GB of RAM onboard, the LG G7 ThinQ ran everything we threw at it without any issues. Apps and games like Need for Speed No Limits ran smoothly and switching between apps, as well as scrolling within apps, was smooth and without delay. As far as sound is concerned, the onboard speaker is quite loud but, as is the case with most smartphones, severely lacking in bass. That being said, most people listen to audio on their smartphones with a decent set of headphones or earbuds and that’s where the LG G7 ThinQ really shines. 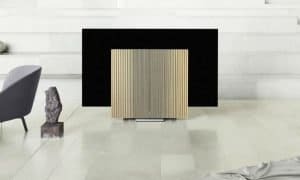 When you have an audio device connected, you can enable DTS:X 3D Surround sound, Hi-Fi Quad DAC, and even adjust the left and right balance. Playing with these settings can really make even great sounding headphones sound even better. 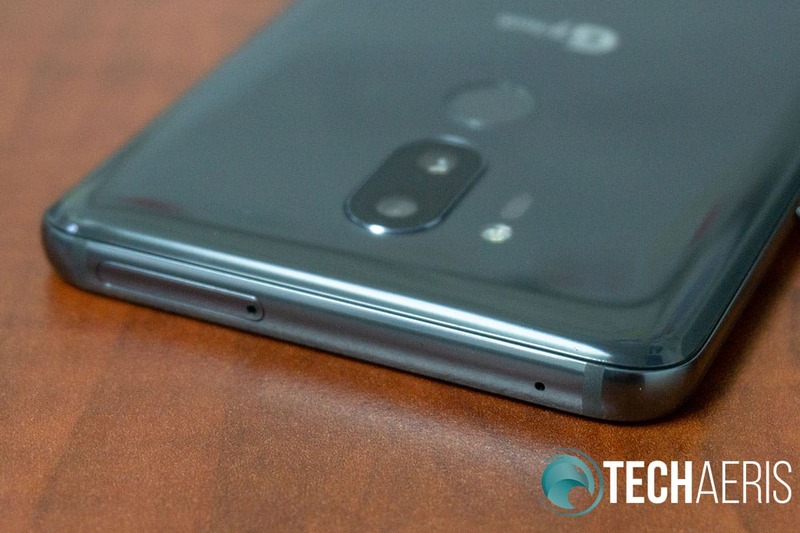 The LG G7 ThinQ still has a 3.5mm audio jack, complete with DTS:X 3D and Hi-Fi Quad DAC support. As far as the dual rear 16MP Super Wide and Standard Angle and front 8MP cameras are concerned, while not spectacular they definitely get the job done. With standard features like Auto, Manual, Panorama, and Slo-mo, the camera also features built-in filters, a Food setting, AR Stickers, and an AI Cam which tries to “take the guesswork out of getting a great shot.” While testing and switching AI Cam on and off, personally I didn’t notice a real difference between the photos taken. Dual rear cameras adorn the rear of the smartphone. On that note, photo quality is decent and the camera is fairly responsive as far as the short time it takes between launching the camera and take a photo. For darker scenes, the Super Bright Mode enhances the image by automatically adjusting the brightness of the scene to get a slightly better shot. Unedited indoor photo taken with LG’s new AI Cam setting. Unedited outdoor photo taken with LG’s new AI Cam setting. 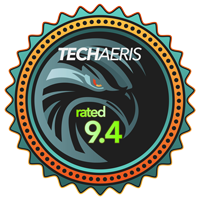 During our test calls, we had no issues with call reception or quality on our local LTE network. Packing a 3,000mAh battery with a QHD+ screen, I expected the battery to last about a day under normal use. During testing, however, I found I was getting close to a day and a half between charges. 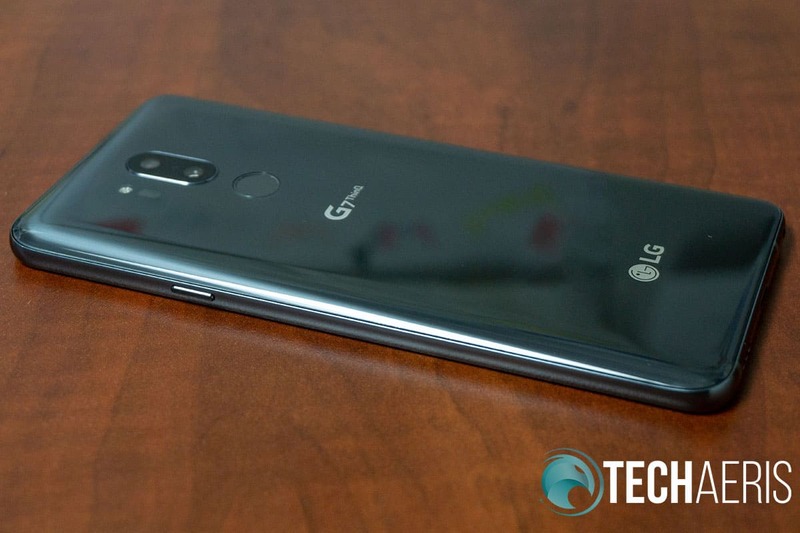 With a price of $749.99USD/$1049.99CAD, the LG G7 ThinQ is priced in line with most other flagship smartphones these days. 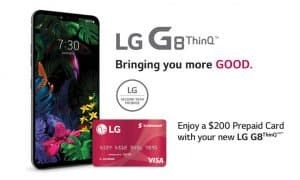 While smartphone pricing is getting steeper, for the build quality, specifications, and additional features, the LG G7 ThinQ offers similar value as other flagship devices currently on the market. It can be had in Canada for as little as $0 down on a two-year contract which definitely softens the blow on the pocketbook as well. It’s also currently on sale on Amazon for $615USD which is a pretty decent price if you’re willing to pay outright for one. While still on the pricey side, the LG G7 ThinQ offers great build quality and features for the price. 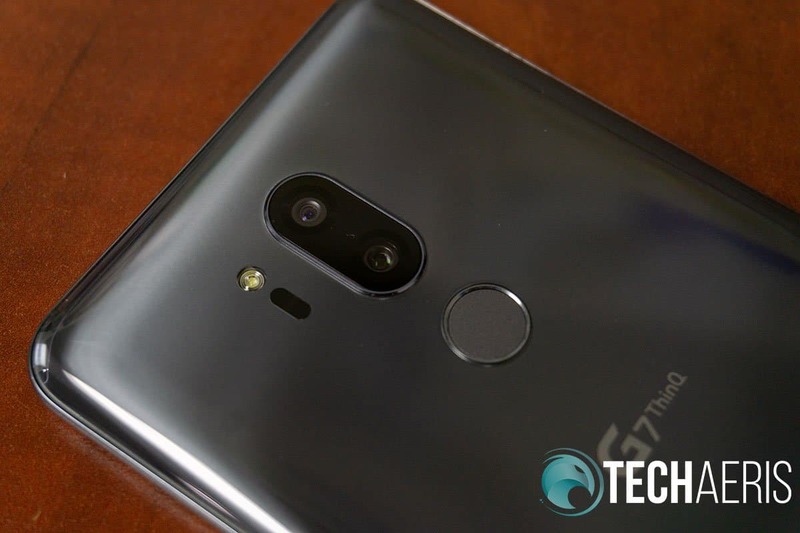 While the LG G7 ThinQ doesn’t look remarkably special, it does have some great options and features, as well as decent build quality for those looking for a new smartphone. 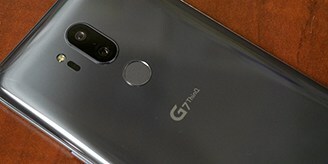 Given the crowded market and bigger name recognition of other OEMs, hopefully, users will give the LG G7 ThinQ a fair shake! 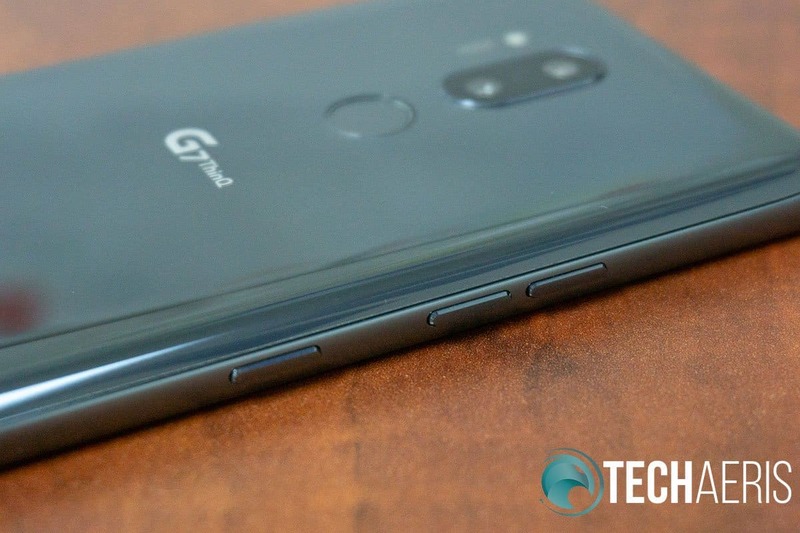 *We were sent a review unit of the LG G7 ThinQ smartphone for the purposes of this review.